At Nicholas Eye Clinic, each member of our vision care team is selected by Dr. Tom Nicholas based upon his or her experience, professional demeanor, and dedication to providing personalized care to our optometry patients. 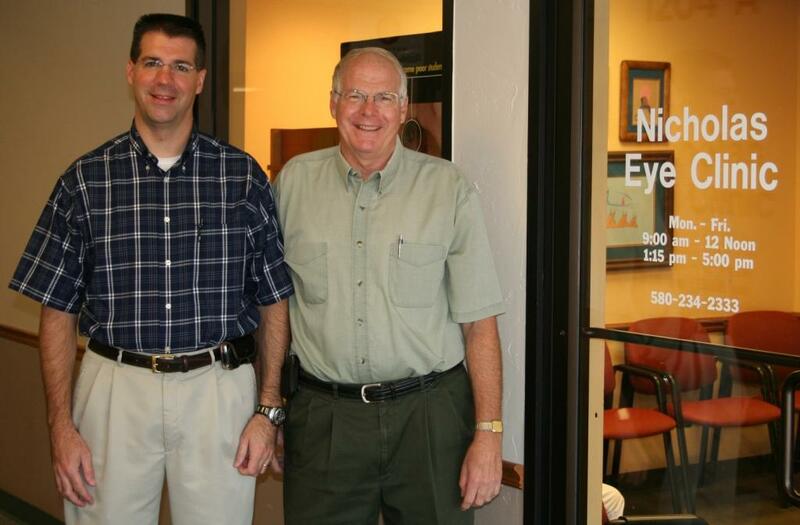 Our entire Enid optometry staff is committed to ensuring the comfort and satisfaction of each and every patient. We will do our best to accommodate your busy schedule by finding appointment times that meet your needs. Our knowledgeable staff at Nicholas Eye Clinic will work with you to help you understand your vision insurance coverage and provide financial alternatives to ensure you get the best vision care possible. 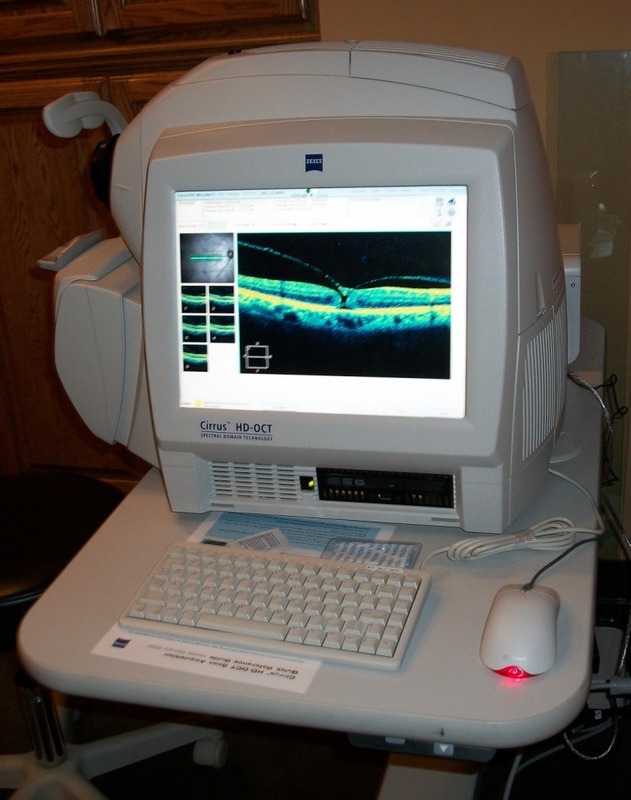 We know that you have a choice when it comes to Enid optometry, so we strive to provide comprehensive eye exams, a great selection of glasses, and personalized care. At our office, we pride ourselves on our state-of-the-art equipment. 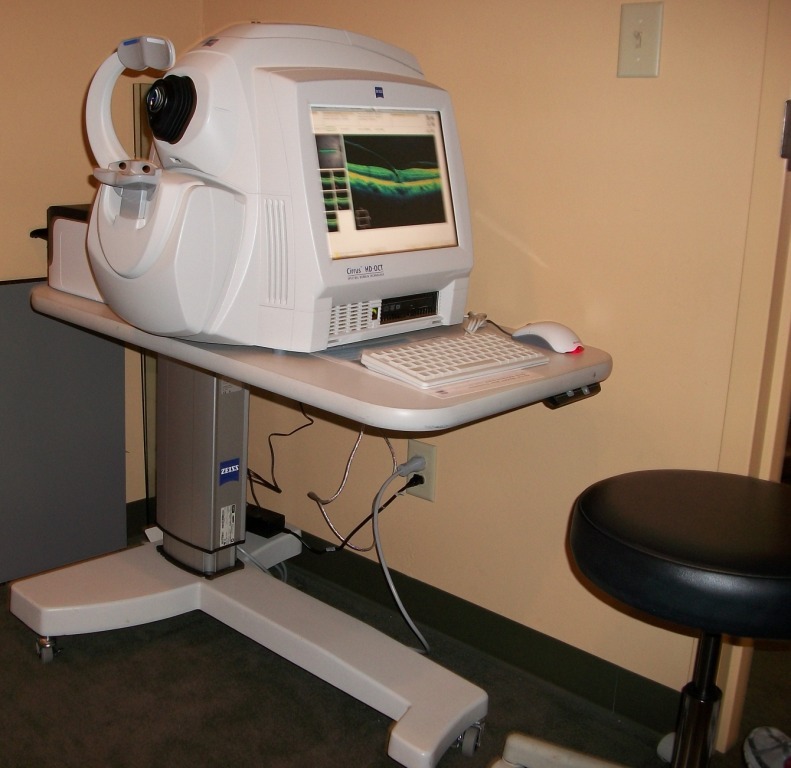 Below are photos of our new Optical Coherence Tomography Instrument.